Clementine arrives at Caillou's house wearing a blue ribbon. Caillou wonders how he could ever win such a prize. This gives Grandma an idea. She decides to organize backyard Olympic games with competitions like the heel-to-toe walk, the biggest smile or the silliest walk. In the end, everyone gets a ribbon -- even Gilbert,for having the best purr. 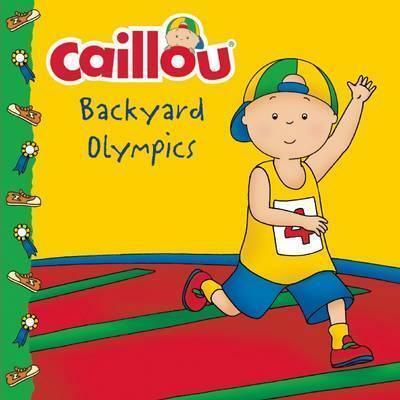 Caillou will learn that winning is not as important as having fun with his friends. Kim Thompson is a filmmaker, television writer and children's book author. She wrote numerous Caillou screenplays, two titles in the Ecology Club series, and most recently, Caillou Easter Egg Surprise. She lives in Vancouver. Eric Sevigny is a graphic artist and the illustrator of numerous Caillou titles, such as Caillou: Every Drop Counts, Caillou: Happy Holidays, and Caillou Puts Away His Toys. He lives in Montreal.